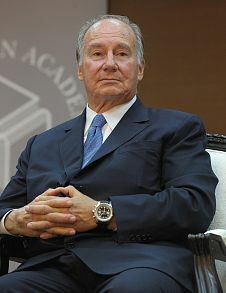 Shah Karim Al-Hussayni, also known simply as the Aga Khan (Imamate: 1957-present), is the leader of the Shia sect of Muslims known as the Nizari Ismailis. For 5–15 million Nizari Ismaili Muslims the Aga Khan is the 49th hereditary Imam, with lineage descending back to Ali, the cousin of the Prophet Muhammad. He is only the fourth Aga Khan, a hereditary title bestowed upon the Imam by the Shah of Persia in the mid-nineteenth century. The period from July 2017 to 11 July 2018 was designated the Diamond Jubilee Year of the Aga Khan’s 60th year of reign. Unparalleled Philanthropist: The Aga Khan Development Network (AKDN) is a collection of development and humanitarian agencies working in areas of poverty. The network is widely known for its architectural and cultural work, including projects that revitalize historic cities. Some projects include the renovation of the Old City of Aleppo and the Al-Azhar Park in Cairo. The Aga Khan’s foundation maintains a strong and enduring presence in developing countries—building health care capacity, promoting economic development in rural areas and helping improve educational opportunities. The AKDN is particularly influential in Central Asia, where it works in areas that are often neglected by other organizations.